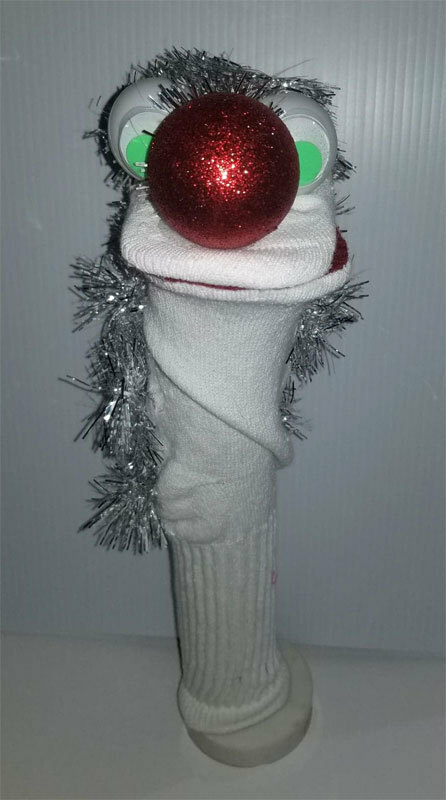 Categories: Basic Sock Puppets Thank you for checking out my puppet! You can find details on the puppet below, and please feel free to watch the video showing it in action. And remember, if you buy 150 worth of puppets, shipping is free! 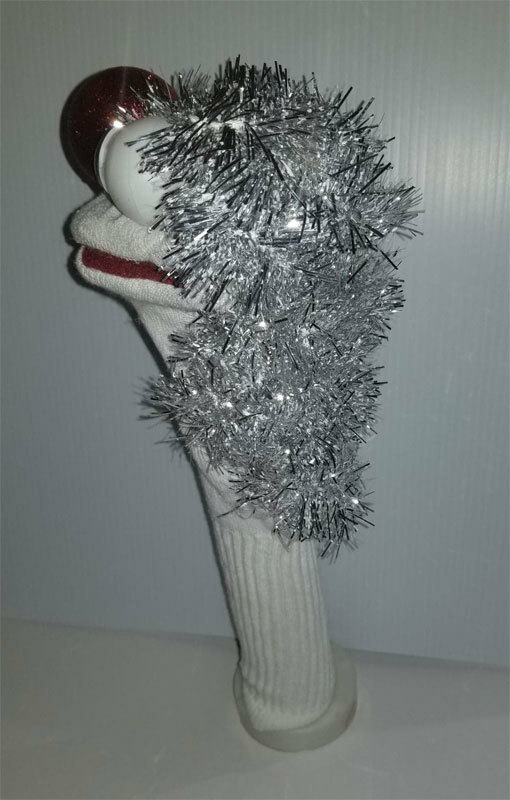 PUPPET: Sparkly Mane of Hair Guy STYLE: Sock Puppet MATERIALS: The body is made from a long white sock, foam board, fabric tinsel SIZE: About 12 Inches Tall, measuring to the top of the head FEATURES: -- NOTES: -- ABOUT ME: I'm a storyteller for a library system in Kansas City and began making puppets as props for my outreach visits. As I challenged myself with each new creation, testing new techniques and seeing what I could do, I found myself swamped with puppets! So now I offer them here on Bonanza and locally at craft shows. I've been making puppets professionally for over five years, designing building them from scratch. I always look forward to new challenges to bring these funny creations to life and love the joy they bring to my customers. KANSAS CITY RESIDENTS: If you live in Kansas City or the surrounding areas we can arrange pick up of the puppet to save on shipping! SHIPPING: Shipping in the US only. This item is available for local pick up; if you live in the Kansas City metro area contact me to make arrangements.